Stores ref. 22c/93. 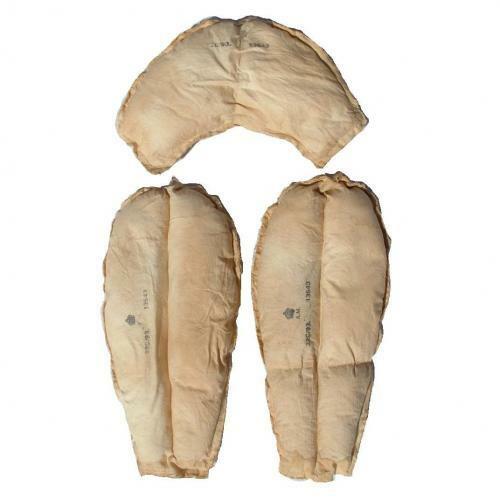 Full set of three buoyancy pads for the 1941 Mae West produced using kapok filled cotton 'pouches'. All clearly marked with stores numbers and King's crown Air Ministry stamp. Each Mae West had two side pads and another smaller pad for the neck area. Good used condition although grubby/soiled. Rare to find. Stock code MW21122.